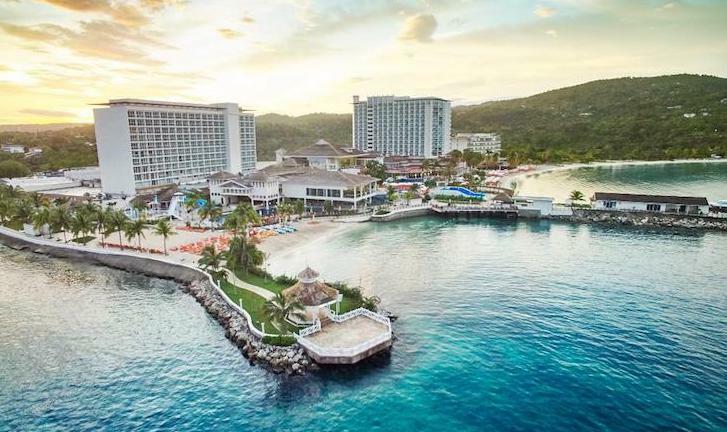 Located on 2 miles of secluded beach just minutes away from downtown Ocho Rios, the 705-suite, five-star Moon Palace Jamaica Grande is a massive all-inclusive that would give any other resort a run for their money, when it comes to comfort and features. Moon Palace only just reopened in 2015 after undergoing major renovations, with amazing marble interiors in an opulent setting. The resort includes an 18-hole golf course along with a 68,000-square foot spa that comes at an extra cost. Half Moon Jamaica also features a basketball court, 11 tennis courts and 4 squash court. The beach house inspired rooms, come with balconies, and includes flat screen TVs and liquor dispensers. There are 4 restaurants, a number of bars on the property and also a surf machine and Dolphin Cove, where you can swim with the dolphins. 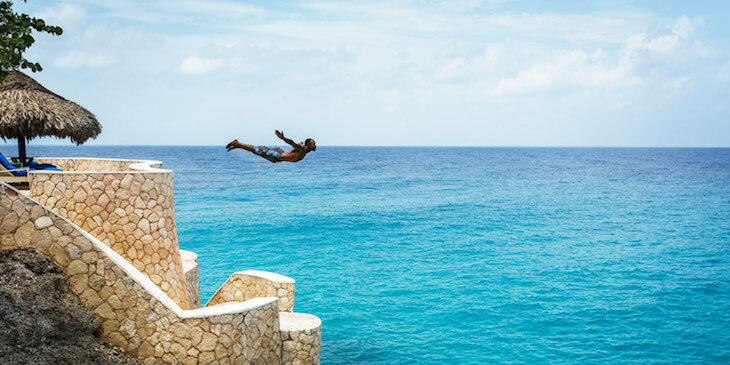 Undoubtedly one of Jamaica’s most romantic settings, The Caves is an Adult-Only boutique hotel, featuring 12 unique cottages and suites that are tucked along tropical vegetation on the beautiful cliffs of West End Negril. There is no beach, but if you wish to stay here, the 7-Mile Beach is only minutes away. High-quality, locally focused restaurant, a top top-shelf bar, intimate setting and incredibly warm staff makes The Cave one of Jamaica’s best all-inclusive. Not only one of Jamaica’s most historic, but also the former home of the great author Ian Fleming, and the getaway at which he wrote all 14 of his James Bond novels. This 21-room resort is hands down Jamaica’s most stylish resort. The property features beautifully designed cottages and villas overlooking a lagoon and a private beach, as well as two fine dining restaurants, a tree house spa, two swimming pools, and a number of on-site activities. The rates are might seem really high but those who can afford it will find that its worth every penny. Travellers looking to enjoy a large all-inclusive with an abundance of activities and amenities, and a relaxed and Irie vibe, on the worlds best stretch of beach, Sandals Negril is your spot. Situated on the largest secluded stretch of Negril’s Seven-Mile Beach, Sandals Negril is a luxurious and spacious property, with beachfront dining, a number of land and watersports activities and ultimate relaxation and entertainment options to keep guests happy. 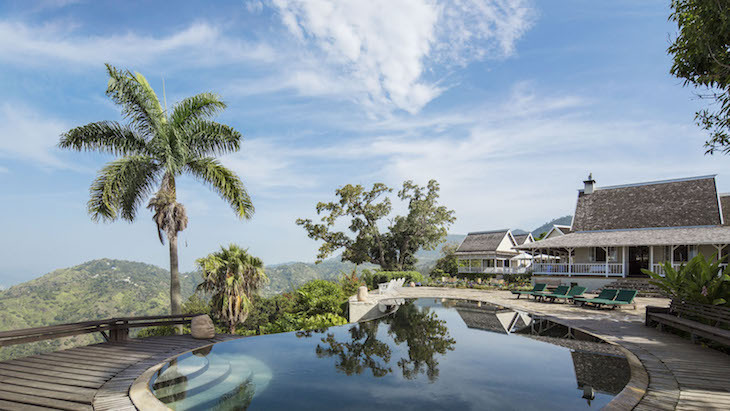 This former coffee plantation located on the winding hills of Jamaica’s the Blue Mountains is a little getaway from the bustling city of Kingston. The resort offers plenty of privacy and intimacy with only 12 cottages on over 26 acres. The large property also features a spa, an open-air restaurant and a bar, a mountaintop pool with unlimited views of the city, gardens and loads of relaxation spots. The rates are considerably inexpensive given the property’s top level of luxury.